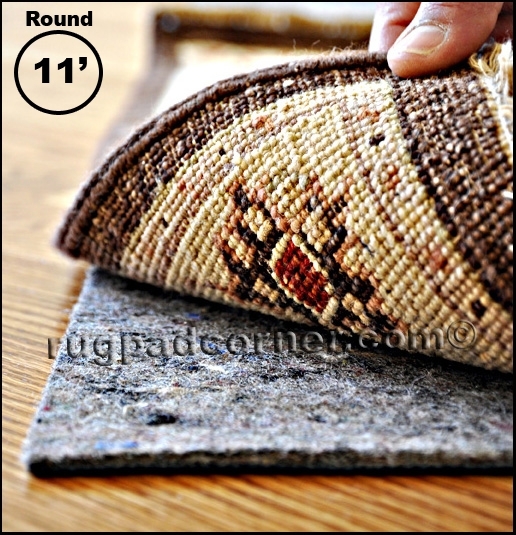 Rug Pad Corner is the nation's online source for quality rug pads. We manufacture and offer felt and felt and rubber rug pads made in the USA of American products. Our felt rug pads do not contain any chemicals, glues or adhesives, area rated as GREEN and are safe for all hardwood and all floors. We offer custom cut rug pads at no extra charge. Use our rug pads to prolong the life of any rug and protect any floor from damage, as well as to prevent rugs from slipping. All rug pads ship for free within the contiguous United States. Online sales of rug pads for hardwood floors, wood floors, laminate floors, tile floors, vinyl floors, tile and stone floors, concrete floors and all floor surfaces. 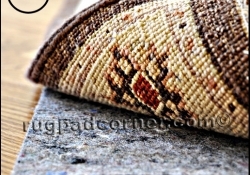 Rug pads for all handmade and machine made new and antique area rugs. We have been in the area rug, flooring and rug pad industries since 1954 with a specialty in rug and floor preservation. 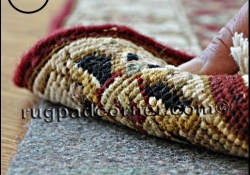 We believe that since every rug needs a rug pad, that the rug pad should be of the quality to prevent any wear to rug and floor, while being safe for both. "We have used these felt rug pads under every rug in our home and they are great! 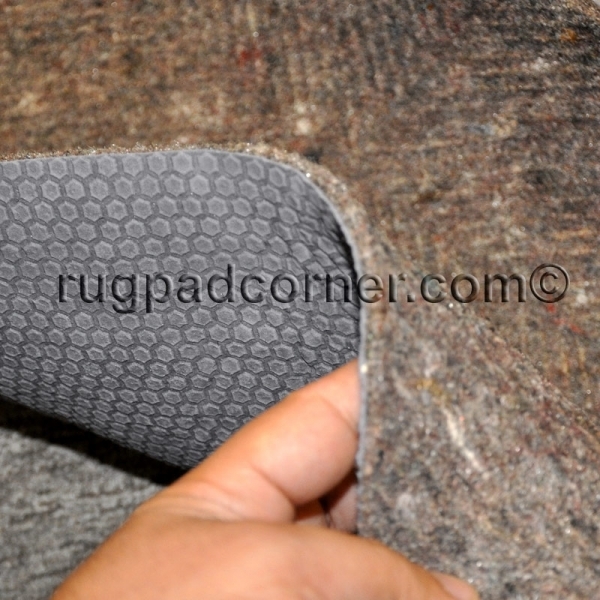 We needed a few custom cut and the folks at Rug Pad Corner cut exact to size. Most of our rugs are Persian quality and we feel very comfortable with the protection that these rug pads offer." 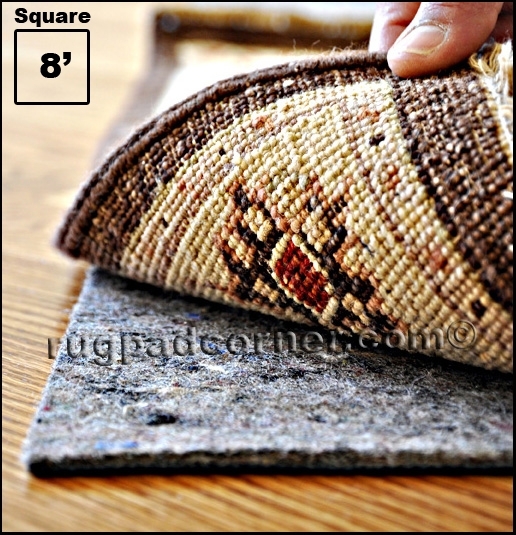 Ultra Premium rug pad is rated as best non slip rug pad for all floors. 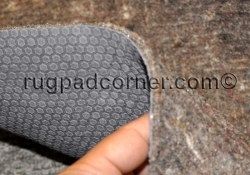 It is made of a recycled felt surface and a natural rubber lower surface. Ultra Premium felt rug pad is made in the USA of American materials and is available in all sizes and shapes. Ultra Premium is rated as one of the safest felt and rubber rug pads for hardwood and all hard floors.